Hello again! Don't forget about my BLOG CANDY HERE. 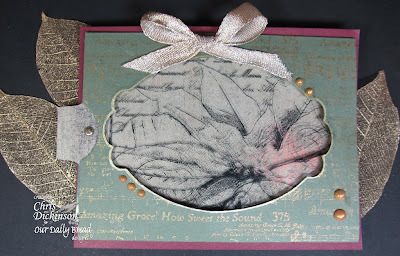 This is a SNEAK PEAK from the December 2010 issue of Technique Junkies using the technique called Hidden Surprise. This technique is the on-line bonus! Take some time to check out the challenge today for your chance to win! Thank you for stopping by! Have a wonderful day! Anyways, I digress... I went to him last night and my husband said no, just as I thought he would and immediately I was angered. Sigh. He is travelling this week, so my conversation ended with him, because deep down, I knew my anger was in the wrong, but needed to step back and get over myself. I knew what I wanted was sheer selfishness and would not bring any good for any one in my family or otherwise but me - the only benefit it would be is to stoke my pride. I even confided in a friend, that I was angry and that it would take me the evening to cool down. I KNEW in my heart I was angry and WHY. This month, I have been reading through the book of Acts. This morning as I was reading Acts 8:9-25, the LORD showed me again that the selfish desires of my heart were not necessarily what is good for everyone - only that my desires were for selfish gain - just as Simon's desires were. As some of you read this and the Scripture, you might think, how did she get that out of Simon wanting the gifts of the Holy Spirit? I can not explain it, except that the Holy Spirit spoke to me about the spiritual place that I am in and HE showed me exactly where I am wrong and that it was good that I was angry, yet did not sin. Not to trump my own horn in any way, but had I expressed my anger last night to my husband it would have been sin, whether I thought I was "right" or not, or that what I wanted was justified for whatever reason I thought it was. I know my emotions can toss me back and forth and can not be trusted. My thought life is often wrong, and what I believe is often incorrect, so I have to continually compare my thoughts to what the Scripture says. Even going to those whom I know are more mature in their walk and saying this is what I "think" and needing them to guide me at times. I love what Chuck Swindoll says -The urgent will crowd out the important. These are not the same.... the urgent is tyrannical - the important is quiet, always deep, never popular - not at all the same. Friends, this may or not make sense to you - but it is what is on my heart today and I find I can ramble at times! 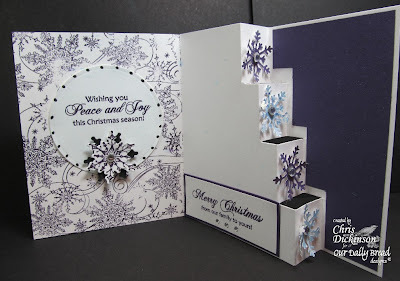 My next post will be paper crafting! Have a blessed day! Hello and Happy Monday! OK, let me start by asking... where did the weekend go? Holy Cow! I think every weekend Monday sneaks up on me faster. This week, is actually a quieter one for me. So glad all of the running around is done for awhile. I have a few shops to go to, to pick up gifts but otherwise, much of my Christmas shopping is done for the year. That feels great! Now, to decide what I am going to do for Christmas cards... lol You would think I have plenty with all that I create, but I like to do a family photo card for our family and loved ones...so this week, I will work on that! Todays cards use I Brake for Digis. This first card was created by my daughter, Grace. 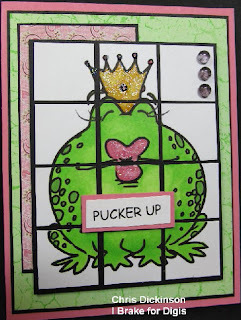 We had a lot of fun stamping together this weekend. Over at The Brakefast Club (a fun forum for I Brake for Stamps!) 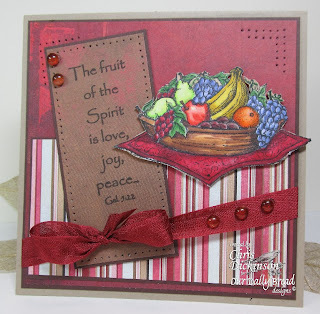 I host a challenge and this week was to create a project using INCHIES! I would LOVE to have you join the fun, if you like challenges, go HERE to see the challenge forum! 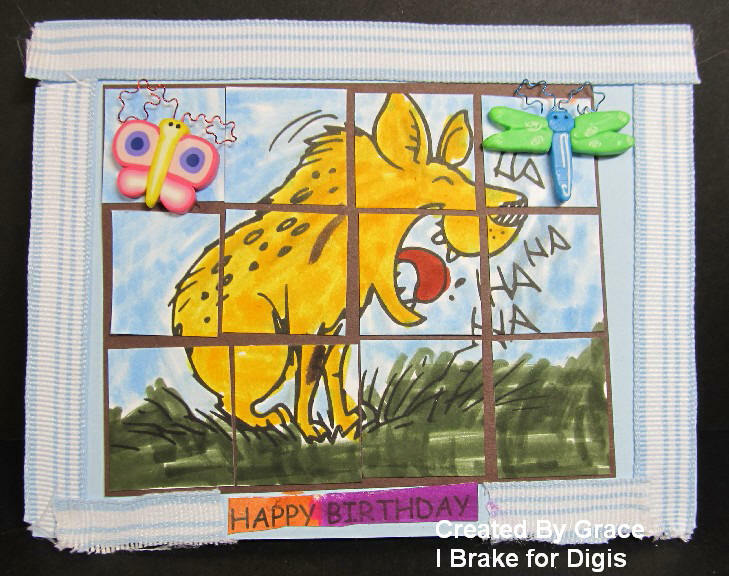 Grace had a blast creating this card. 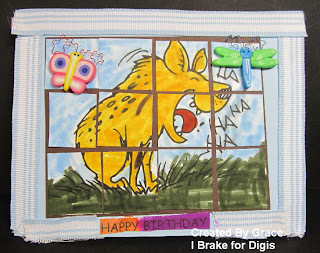 She added so many fun details too... She used the Laughing Hyena from I Brake for Digis, and I typed up the Birthday Greeting using my Microsoft Word program. 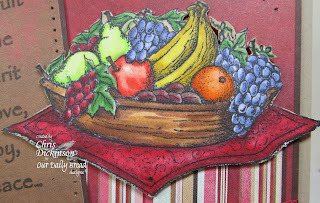 She colored the image using water based markers and added SU striped ribbon and some fun embellishments she had lying around. My card uses this FUN frog. 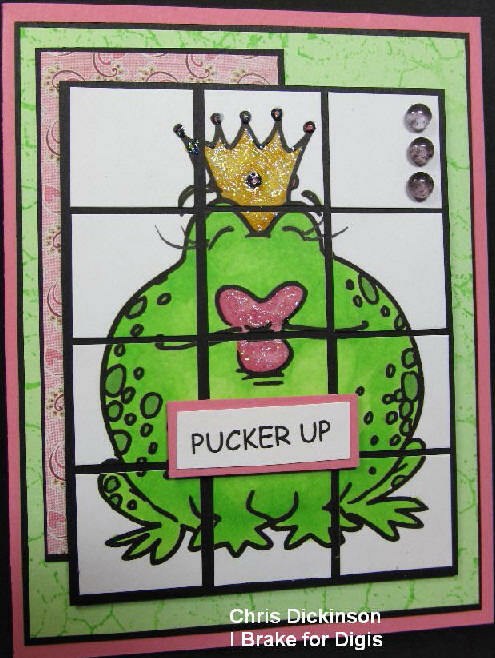 Freddie the frog originally was a male, but I added some eye lashes and some bright pink lips to "girl it up!" This digital image was lots of fun to color too! I added some Stardust Stickles to the crown and lips - avoiding the black lines! 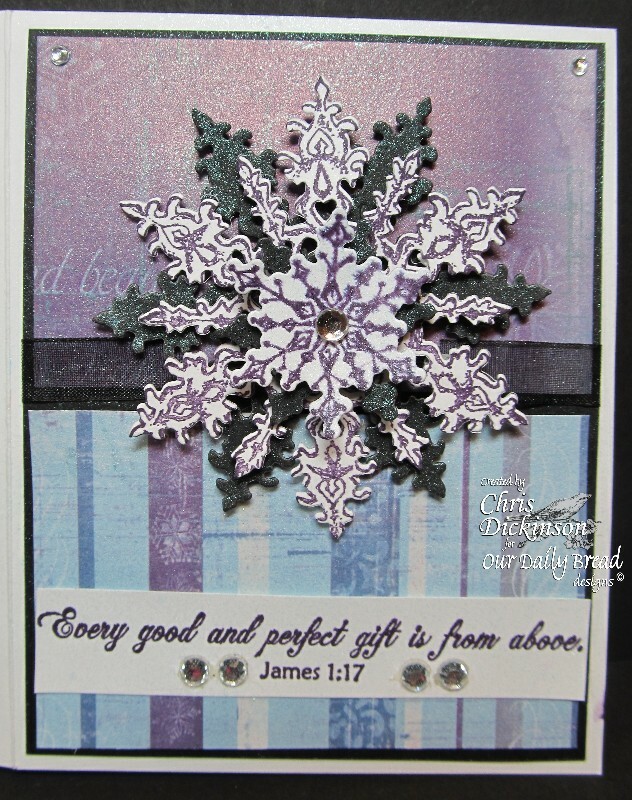 For the background, I used the BIRDS SHEET stamp set ! You can use my code SAVE10CHRIS to SAVE 10% too! 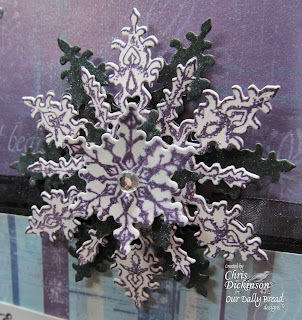 I need to get my day started here - we have school, laundry and stamping to do today! Thank you for stopping by! Have a wonderful week! Hello and Happy Saturday everyone!!! Before I go on to my post, I want to remind you that I have some Blog Candy HERE. 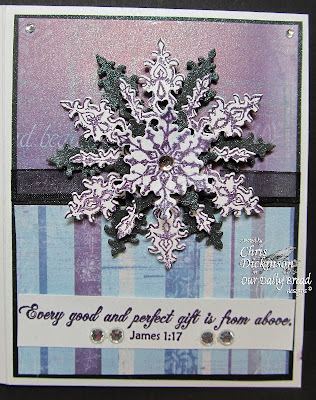 Once you are done reading and hopping through the talented Design Team member blogs, don't forget about the FABULOUS SALE Our Daily Bread Designs is having! We had a wonderful Thanksgiving and this weekend we are relaxing and enjoying one another. I cleaned off my desk on Thanksgiving night and I get to take some extra time to stamp this weekend. It is wonderful just to take some time to slow down and reflect on the many blessings we have been given. To make the challenge even more fun, we will be giving out a prize, a $ 15 gift certificate to be used toward stamps at the Our Daily Bread Designs store!! Entries for the prize must be submitted by Thursday, December 2. One random winner will be chosen and announced next Saturday. Here is some information on my project... 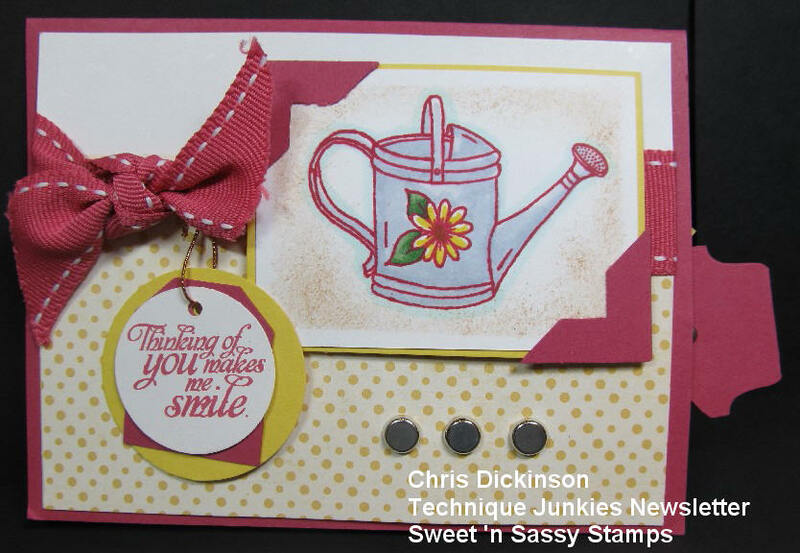 I started with the technique called the Tri-Stair technique and uses the Fancy Fold and Motions Cd from the Technique Junkie Newsletter. You can find information about the cd on my side bar. Whew! Thank you for stopping by. I hope you have a productive weekend filled with MANY Blessings, laughter and fun. My husband bought me an early Christmas present, so I am going to be trying to figure that out! I hope you aren’t too disappointed that Martha Stewart will not be dining with us this Thanksgiving. She probably won’t come next year either. Hello and Happy Thanksgiving Everyone- (Please scroll down for more 2 more posts today!) I do not have a project to share with you, just a few comments. I have TONS to be thankful to the LORD for and I am so blessed. Today, we are spending time with my family at home with all of the Thanksgiving goodies. I pray you enjoy your day with your family as you reflect on what the LORD has done for you this year! I BRAKE FOR STAMPS SALE! I BRAKE FOR STAMPS has a SALE!!! You can use my code SAVE10CHRIS to SAVE an additional 10% too! Scroll down for another sale too! Our Black Friday sale starts now and ends on Sunday. We have 10% off all in stock craft tools, accessories and embossing folders. If something is out of stock, you will receive a credit through Paypal or through your credit card. OUR DAILY BREAD THANKSGIVING SPECIAL! OUR DAILY BREAD DESIGNS is offering a FREE SHIPPING special this Thanksgiving weekend for all US orders placed from Thursday-Sunday. Please use the code in the shopping cart to receive this special! 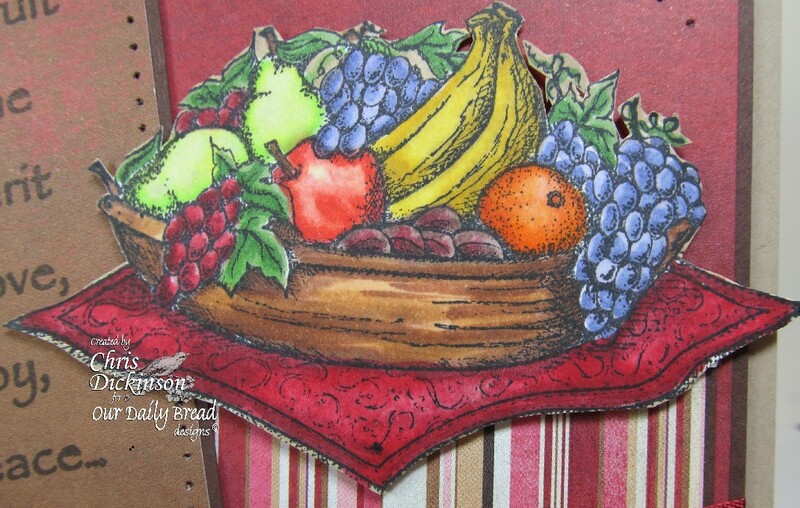 Kelley is also giving away a free December Bread Basket Bundle to one lucky winner! All you need to do is go to the Our Daily Bread Designs Blog post HERE and leave a comment to be eligible to win. Kelley would love to hear what you are most thankful for! While you are at the blog, remember to enter your email address to receive updates on all the fun blog events! We are offering for the first time ever a PRE-ORDER for the new December stamp sets! 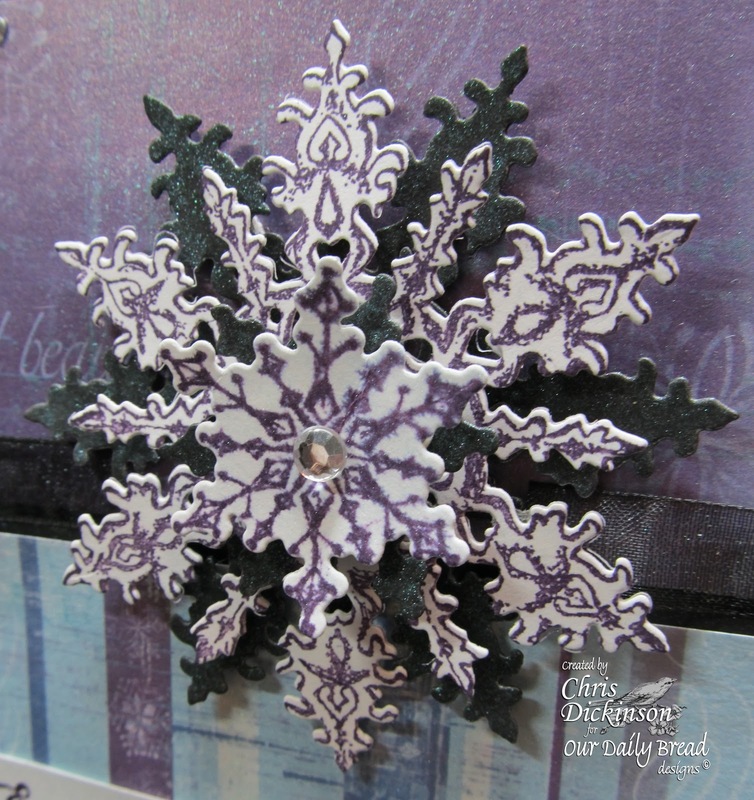 There are 3 new stamps set, including an ornament set that was made to coordinate with the Spellbinders 2010 Heirloom Ornament Dies. Our Daily Bread designs is so proud and pleased to be chosen by the Spellbinders company as a Preferred Stamp Partner. Our partnership with Spellbinders will be a blessing to the stamping community as well, as we expand our line to include perfect match sentiments, Scriptures and images to Spellbinders products. We look forward to a long and blessed partnership with such a fine product as Spellbinders. Hello Friends - Welcome! Today is Belli Challenge Day and our "theme" for the day is anything you choose that starts with an R! Whatever you choose though, has to be something "old and forgotten." I chose some old "Red papers" the "ribbon" starts with R too, but I have had it for 2 months, so I do not qualify that as "old and forgotten." Before I go, I want to wish you each a VERY HAPPY THANKSGIVING. I pray that your blessings are abundant and you are filled with the joy of the LORD. Have a great day and thank you for stopping by! HELLO and HAPPY Saturday! Are busy bustling around for the Thanksgiving Season? Today will be a day of grocery shopping and cleaning as we will be having company this evening. To make the challenge even more fun, we will be giving out a prize, a $ 15 gift certificate to be used toward stamps at the Our Daily Bread Designs store!! Entries for the prize must be submitted by Thursday, November 25. One random winner will be chosen and announced next Saturday. I hope you enjoy your weekend and are VERY BLESSED!!! Take some time to reflect on your MANY, MANY blessings too! BLOGGERS CHALLENGE - HAPPY THANKSGIVING! HAPPY BIRTHDAY and A LITTLE CANDY! Wanna Be a Belli Girl?